Here we have one more band from Canada and I must add the following: what a great scene this country has. There are so many interesting bands creating new music with their own touch and a very particular sound and this is just great for the metal scene. 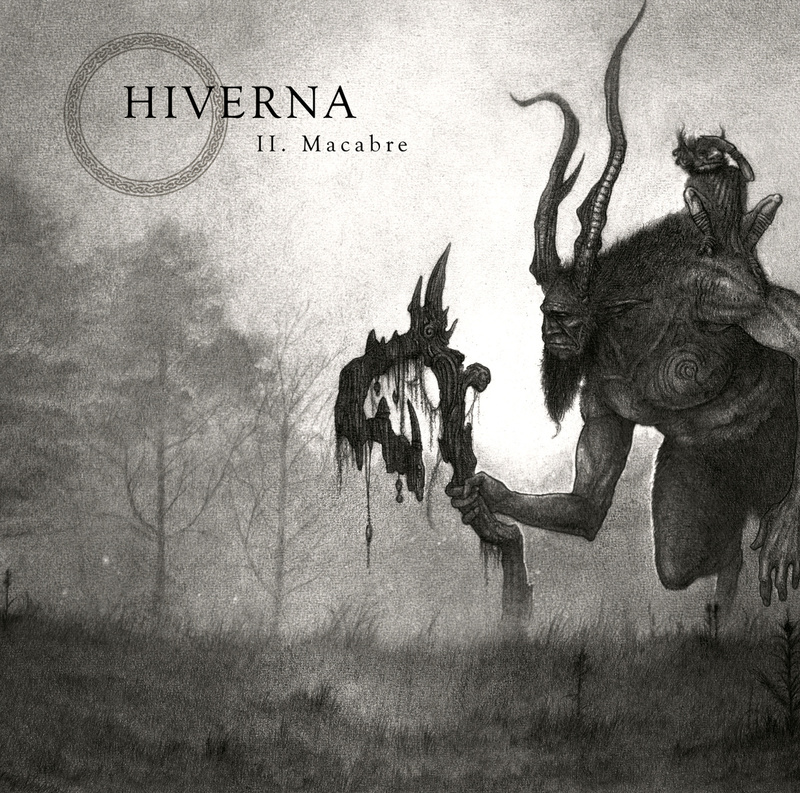 The band I’m reviewing today is Hiverna, from beautiful Québec and which features members of Crépuscule fame. “II. Macabre” is the band’s sophomore album, being the superb “I.Folklore” their first album, released in 2010. I remember that I expected with great anticipation their next release, but, only four years later we can enjoy their new songs. Well, it’s better to release an excellent album every four years rather than a bland, insipid one every year, obviously. 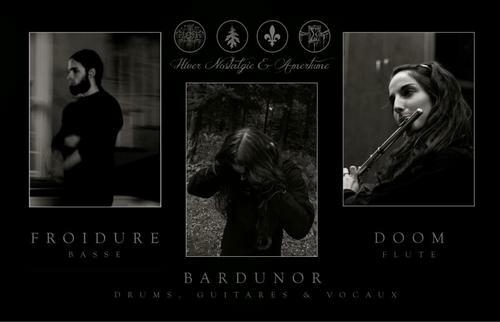 If you enjoy a mix, a blend of Folk Metal and Raw Music, in this case, Black Metal, much like the old releases of Temnozor, you’ll love the album. The flute, acoustic guitar, mandolin, and many other folk instruments/ medieval melodies add a magical touch to this release. 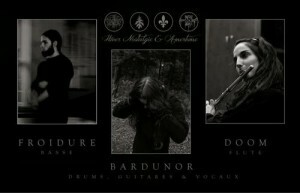 The Black Metal “side” is also very dramatic and impassioned, the drumming and the guitars are impressive, fast and intense. The music, as the album progresses, gets more and more atmospheric and majestic. The vocals fit the music well, with high pitched screams, they feel very grim. Having that all in mind, I’ll use a word that I repeat very often, beauty, beautiful, that’s how I’d labeled what Hiverna plays. And, as I always asks, please, if you liked Hiverna’s music, do what you can, what you’re able to, what is on your reach to help the band. Just a simple Facebook post (or whichever social network you use) might make a difference. It may not be huge, but who cares, you’re doing something positive. Until next time, take care you all.